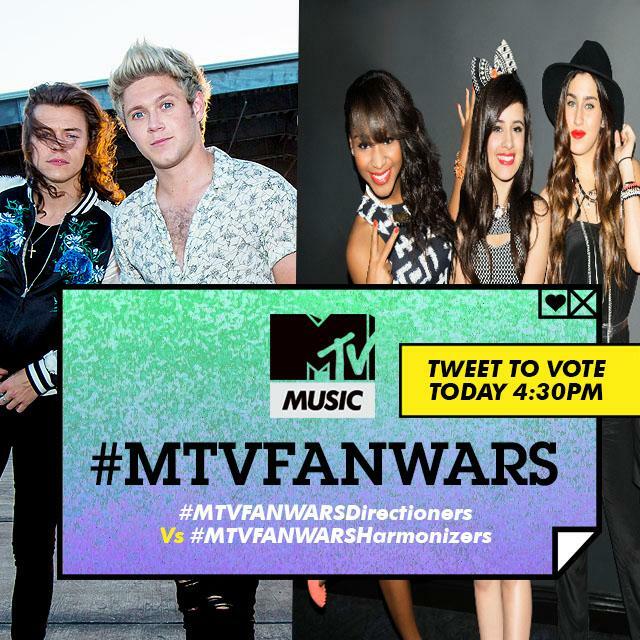 Calling all #Directioners! 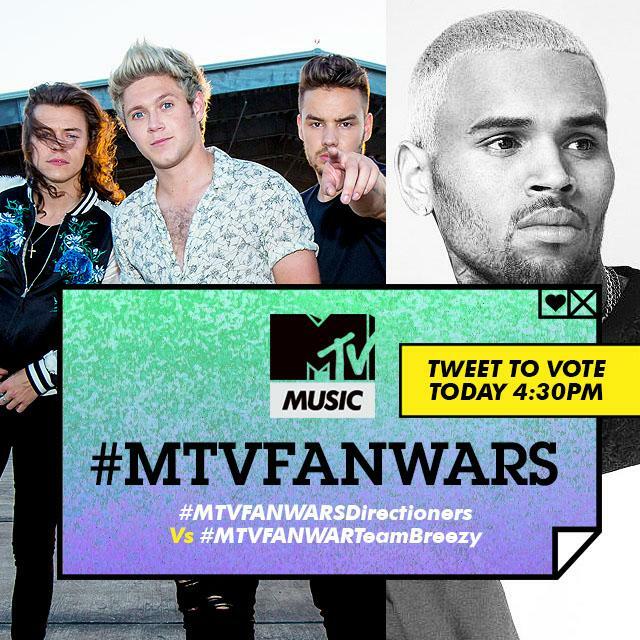 5 MINS TO GO > Last chance to get the boys into the next round of #MTVFANWARS. 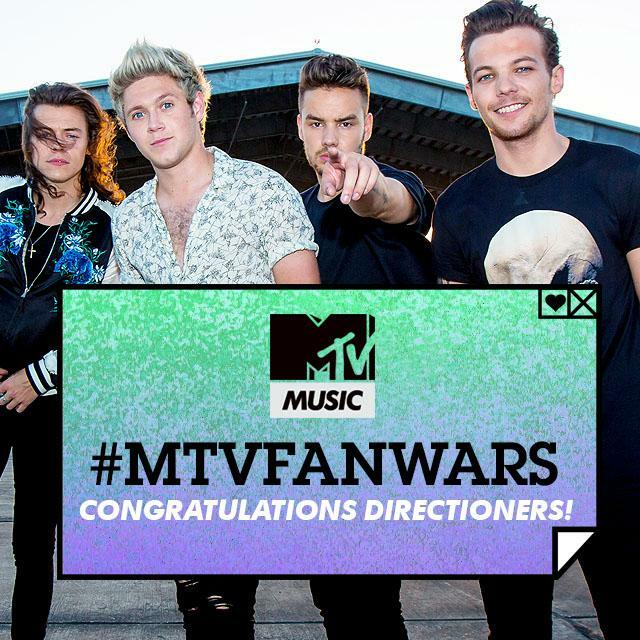 TWEET #MTVFANWARSDirectioners NOW! #Directioners! THIS IS IT! 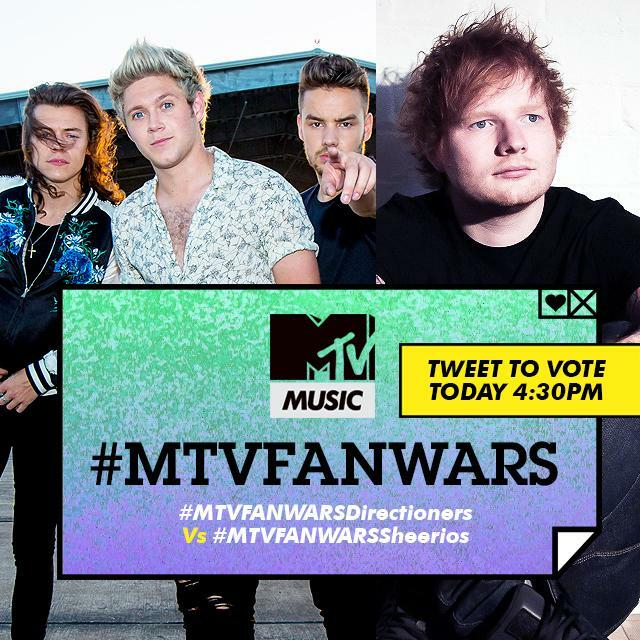 Tweet #MTVFANWARSDirectioners to make sure #1D beat @edsheeran to get into the next round of #MTVFANWARS!